We are now a microwave-less family, at least where our kitchen is concerned. When we moved into this house, we didn't have a microwave, and we kept it like that for a while (probably until the fall volleyball season came around and we had two Littles to feed in about 10 minutes each night). We said we wouldn't use it often, but with it sitting right there it was just so easy. 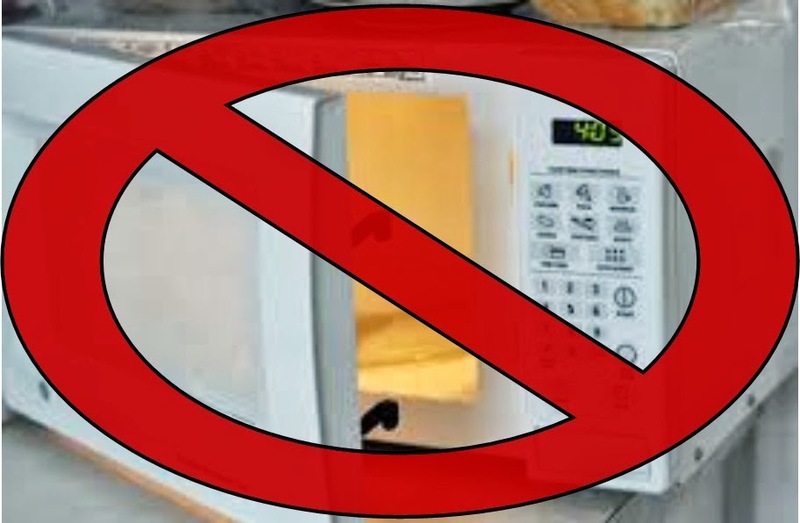 Yet, any time either one of used the microwave we gave that person the look that asks, "Do you want that thing to kill you early?" So--prompted and strengthened by a conversation at an IF: local event that had NOTHING to do with IF: Gathering--we moved the microwave back to the garage. And now I can't eat. Seriously, I may lose 15 pounds over this. I wanted leftover dinner from last night. Forgetting that we had moved the microwave, I went to the corner to heat it up. Bam. Dashed my dreams of a quick, easy and delicious dinner. "Ok, Jenny," I thought as I looked around. "This is fine. You can warm it up in the oven." And it was fine, but it did mess with my productivity, which is going to be a sticking point. Later on, I wanted a little snack while relaxing and enjoying an episode of a ridiculous TV show that shall remain unnamed so you won't judge me. Ordinarily, my snack would involve hot fudge or melted PB on a cracker with chocolate chips or something equally ridiculous and bad for me. But with no microwave, I would have lost the spare time I had planned to use enjoying a nice warm piece of melty chocolate on the couch. So I gave up. No bad-for-me snack. Or--at the very least--not as often.